Editor’s Note: This article is written by Reinder de Vries, indie app developer at LearnAppMaking.com. Oh no! Parse is shutting down… How do you move on? On January 28th Parse announced it will be shutting down its service. They’re winding down the done-for-you Backend-as-a-Service, fully retiring it on January 28, 2017. That’s bad news for over 500.000 developers who relied on the service since 2011. Like Jameson argued in his recent blog post, developers are feeling betrayed in their trust. Parse was acquired in 2013 by Facebook for $ 85 million and now the “Big Five” monarch cold-bloodedly pulls the plug on the backbone of many developer’s apps. Back in 2013 Parse was a risky acquisition, which Facebook needed to get a foothold in the mobile market. Facebook’s recent earnings report shows a growth in mobile advertising revenue of 52%, comparing Q4 of 2014 and 2015, which clearly shows they’ve landed in mobile. With the rise in competition of cloud services by the likes of Amazon, Microsoft and Google, you could argue Facebook doesn’t need Parse anymore. From a business perspective I couldn’t agree more with them, but from a developer’s perspective it’s an awful move to make. A while back I wanted to automate email newsletter signups and TestFlight beta invites. If you’d subscribe to the newsletter and confirmed your subscription, the workflow would automatically add you to my TestFlight pool of beta testers. I knew about the awesome FastLane toolset, and its boarding component, and figured boarding‘s HTML form must have a POST URL endpoint I could hijack. Essentially, I’d catch the subscriber’s email address from my form and input it into the boarding form. Boarding would take care of the rest, like adding the subscriber to the TestFlight beta tester pool. There was only one problem: the boarding form had CSRF protection, which meant it expected a unique token to be included in every request. Those tokens are created server-side and in my workflow I didn’t have access to them. I had access to boarding‘s source code, so technically I could solve the problem by disabling the CSRF protection. There was only one caveat: the source code was in Ruby, and I haven’t seen a single line of Ruby in my entire life (OK, maybe one), let alone have written one. Thanks to my extensive background in back-end programming, I’m not afraid of getting my hands dirty with technology I don’t know. Years of tinkering and making mistakes gave me a perfect understanding of how the web works. Instead of shying away from a black box, I dug deeper. I saw libraries I’d never heard of, with even stranger names (is this a thing? ), and finally found the file that governed the CSRF protection feature. Ultimately, turning it off simply meant “nulling” a controller. Almost every successful app uses some sort of back-end service to connect app users to each other, and persist user data on a server. 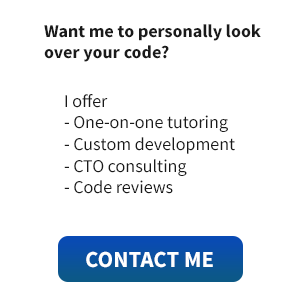 Many developers I meet and coach don’t have a solid understanding of back-end programming. Once they set up their Parse configuration in the overly simple Dashboard, write a query, they just assume their data is “out there”. Why would you bother finding out what happens in the cloud? It’s perhaps also Parse’s fault. Their PFQueryTableViewController is so incredibly easy to use, but pretty dangerous: it directly couples back-end code with your app’s view controller (which is already a ViewModel). Even if you wanted to switch from Parse to Firebase, your code is so tightly coupled you have to rewrite your entire app before you can migrate. Parse’s PFObject class has mapping built in, so you can work with string data as native Swift String objects, while in fact the Parse SDK turns that into data it can send over the internet. If you pass around PFObject instances in your user-facing code, you’re going to have a hard time replacing that with a new Backend-as-a-Service SDK. If you would have built your own back-end from scratch, you would have known for instance that true (a boolean) is sometimes turned into "true" (a string) when encoded as JSON. If that hits your app, you’re suddenly working with an instance of String instead of the Bool you expected. Fortunately Swift has an incredible type system, but an if let optional binding statement only protects against a type mismatch — it doesn’t resolve it! So how’s this Parse shutdown good for you? It’s time to start tinkering again, to dig deeper into the black box and to protect your code against shutdowns like Parse’s. Next time you build an app, keep these three heuristics in mind. Instead of relying for 100% on one provider whose service is vital to the continuity and success of your app, you can protect yourself against shutdowns. Parse has a couple of similar providers, like Firebase. Perhaps you didn’t even know Firebase existed until you Googled for alternatives in reaction to Parse’s shutdown. The cool thing is: most of these services know you’re looking for them. If you Google “parse shutdown” or “parse migration”, you’re hit with multiple highly relevant Google AdWords ads that tell you to migrate over to their service. Don’t do it! Instead, make a list of alternatives. Just make yourself comfortable with what’s out there. It’s never a bad idea to have a list of providers you rely on, and their alternatives. Just like a supermarket has a list of alternative milk suppliers in case their main provider goes out of business, you should keep a list of companies you do business with. You can of course also use the list of alternatives to do some proper research about the technologies and SDKs you’re going to use. I didn’t know OneSignal existed until I started looking for a free push provider, to replace Urban Airship, because I found it too expensive. Regardless of how dull it may sound: Model-View-Controller still has a point. We’re getting used to coding Model-View-Whatever, but the principle of MVC remains: your Controller shouldn’t configure Views, and your View shouldn’t manipulate a Model. Cocoa Touch makes it hard to not use MVVM (Model-View-ViewModel), but that doesn’t mean you should tightly couple your Model code in your View Controller code. In programming theory we’ve got two principles: coupling and encapsulation. Working with two tightly coupled classes means ClassA makes a lot of assumptions about the inner functionality of ClassB. Imagine a car and a driver. The driver sits in the front of the car, because the steering column is directly connected to the engine. What if the driver suddenly decided to sit in the back, in order to drive the car? Then the driving doesn’t work. Of course, such a situation never happens in real life, but it happens in your code all the time. A protection against tight coupling is encapsulation. This means every class has a strictly defined set of methods, such as speedUp() and steerLeft(). Instead of letting the driver inject more gas into the combustion chamber, relying on the engine being of the combustible kind, you simply let the driver call speedUp(). This way the driver doesn’t have intricate knowledge about the workings of the engine, but instead calls upon a function he knows is safe. When the engine gets replaced by an electric one, which doesn’t have a combustion chamber, you don’t have to change the driver’s code: he relies on a speedUp() method to be present, instead of relying on a injectGasMixture(), gasMixture and sparkTimer. If you find the principle of decoupling and encapsulation hard to grasp, think of it as responsibilities. Whose responsibility is it to drive the car? The driver’s. Who’s responsibility is it to make the car able to move forward? The engine’s. When you’re coding your back-end enabled app, make sure you clearly define its components and their responsibilities. Create a class you only use as an intermediary between back-end code and front-end code. The front-end code is based on your own native classes, like Car, and the back-end code has intricate knowledge about the back-end SDK you use, and works with classes like PFObject. It’s the intermediary’s job to communicate between the front-end and the back-end. In case your back-end code becomes obsolete, you can replace the intermediary with code that understands your new back-end SDK, without rewriting the front-end code as well. The third and last heuristic ties into the principle of loosely coupled code. The Adapter Pattern, older than the internet itself, is an Object-Oriented Programming pattern. It’s a set of programming design rules you can use to make two incompatible classes compatible with each other. It’s similar to making a “wrapper”, but instead of just exposing the interface of one resource (like wrapping a REST API) it also mediates between two incompatible interfaces by defining a set of rules. In many programming languages these rules are called interfaces (Java and PHP), in Swift and Objective-C they’re called protocols. You do know Swift’s generics, right? If it swims like a duck and quacks like a duck, it must be a duck. The Adapter Pattern has a similar mechanism. Instead of integrating ClassA and ClassB tightly with each other, by making direct calls from A to B, you build an adaptor class around ClassA. The adapter class has intricate knowledge about how ClassA works. The adapter class also conforms to a protocol. The protocol says: “You can be sure I have methods X, Y and Z”. ClassB doesn’t know ClassA. It only knows it wants to work with an instance that conforms to the adapter’s protocol. It doesn’t care if the instance is a duck, as long as it swims and quacks like a duck. What’s the benefit of working with an adapter? Well, in case your original ClassA code becomes obsolete, you can just find another class (i.e. another Parse alternative) and write an adapter for it. As long as this adapter conforms to the protocol, the rules you defined earlier, ClassB still works. The protocol (AnyTwitterServiceProtocol) contains the exact same method signature, but it doesn’t have any logic or method implementation. It just sets the rules. The front-end code (MyTweetsViewController) has a variable twitter of an undefined type, which it got from the “adapter factory”. This factory ensures you only have to replace class names once (or twice) if you change adapters. If you’d strictly define twitter to be of type MyTwitterAdapter, you would still tightly couple your code, most likely in more than one place. Then, if you replace your adapter for a new one, you still have to update a lot of code. Once you’ve got this set up, you can test if the twitter instance you’re working with conforms to the AnyTwitterServiceProtocol. Your front-end code doesn’t care anymore whether twitter is of type Car, FooBar or Facebook, as long as it conforms to AnyTwitterServiceProtocol. It simply wants to know if the instance has a method called getTweetsWithUser:withPage:. Note: in case you do want to strictly define the type of twitter, you can use a protocol as a type, and you can also work with generics. Now that you’ve learned that you should improve your business operations and your reliance on suppliers, and protect your code against sudden changes, you can figure out how to do that. Are you going to switch to Firebase? You should know that Firebase is owned by “Big Five” Google, and although Parse’s shutdown is no harbinger of more shutdowns, solely relying on a new provider leaves you equaly vulnerable as you were. Unless you protect your code, of course. A good exercise would be to learn about back-end programming. Parse has released an excellent replacement product, Parse Server, which you can run on your own server (as long as it can run NodeJS and MongoDB). In the following code guide I’ll show you how to migrate a simple app from Parse to Parse Server, with Heroku and MongoLab. Another relatively easy exercise is to migrate your Push Notifications to two services instead of one. Implementing the client-side SDK of a push provider is relatively easy, usually you only have to send over the unique push ID and set up a segment. Use the Adapter Pattern to create a unified interface your front-end code can talk to. Decouple the actual adapter from the front-end code by defining a protocol. Pick a second Push Notifications provider (like Urban Airship, Mixpanel, Pusher or PushOver) and write a second adapter. Make sure it conforms to the protocol, and then simulate a service breakdown in which you have to deploy your new adapter. Does it work? Don’t be afraid to go deep into the black box. It’s not a bad idea to write your own back-end REST API, just for the fun and experience of it. You’ll learn a lot. Did you know Crashlytics is owned by Twitter? Anything could shutdown… Make sure you know what Crashlytics does for you, and how it works. It’s the only way to build a stable, reliable and long-term profitable business. List comprehensions provide a concise way to create lists. You can accomplish list comprehension-like operations in Swift even though list comprehensions are not mentioned in the Swift language guide. Like list comprehensions in some other languages, you can use any Sequence or Collection as the input, not just a Range. You can use map/reduce/filter/stride depending on what kind of list you are trying to create. The two main perks of list comprehensions are conciseness and being able to generate faster bitcode. My imitation list comprehension was more concise. I was curious whether it would also generate faster bitcode. This article showed me how to analyze Swift assembly code using Hopper, an OSX and Linux disassembler. You can try Hopper for free without buying a license. The code snippets without list comprehensions and with the imitation list comprehensions generated the same assembly code. Since both snippets created the same assembly code I assumed their execution time would be the same. We can demontrate this by measuring the execution of our program using XCTest. Test Case '-[speedTestTests.speedTestTests testNoListComprehensionPerformance]' started. Test Case '-[speedTestTests.speedTestTests testNoListComprehensionPerformance]' passed (0.262 seconds). Test Case '-[speedTestTests.speedTestTests testSortaListComprehensionPerformance]' started. Test Case '-[speedTestTests.speedTestTests testSortaListComprehensionPerformance]' passed (0.255 seconds). On average they only differ by only 0.007 seconds. The coolest application of list comprehensions I've seen is in a spelling corrector. Airspeed Velocity wrote a Swift version of Peter Norvig's Python spelling corrector. Conciseness is the main benefit of using list comprehension-like operations in Swift. Paul Graham wrote a great essay about how conciseness in programming languages is power. Since each programmer can only write a certain number of lines of code per day, you can accomplish more each day if you can accomplish more in the same number of lines. This power also makes you rethink what programs are possible. In a more verbose language this spelling corrector example could have seemed like an overwhelming project. I love how how something as technically complex and mysterious as a spelling corrector can be expressed in so few lines of code in Swift. Github, the most popular open source repository for open source software, offers a feature that let’s us view repositories by language. In this post, I want to dissect some of the most popular Swift repositories as of June 5th, 2015. So, let’s kick it off with the most starred Swift repository, Alamofire. Alamofire is an “Elegant HTTP Networking in Swift”, written by Matt Thompson, a well known Objective-C developer responsible for the AFNetworking library. The library takes the built-in iOS networking features and abstracts them away in to a simpler, and more Swift-y API. It’s the most popular library for Swift to date, so you should probably be using it, right? Well, maybe… The library makes some common tasks simpler and less verbose, but if you don’t know the basics of networking in Swift (or Objective-C), it’s probably best to get a good understanding of the existing APIs first. After understanding what’s going on under the hood, you can make a more informed decision about whether or not you need the extra layer of abstraction. Alamofire is a big framework, and networking is a huge topic, so I don’t want to get too far in to the details on this library. But, suffice to say if you are working with complex networking requests with lots of back and forth with a web server, and/or working with a complicated authentication process, using Alamofire might reduce some of the repetitive coding tasks. If you are new to iOS development, I would recommend just stick to the APIs provided by Apple for now. SwiftyJSON is “The better way to deal with JSON data in Swift” according to it’s Github entry. This framework is one of the first I saw when Swift was first released, that combined with the fact that JSON parsing is such a common problem is how it became a top repository, helping to deal with the messiness of Apple’s built-in JSON parser. In particular, the static typing of Swift and optional syntax led to a lot of verbose JSON parsing code, guessing and checking each step of the way for each key and checking every cast. The truth is though, using this library is VERY similar to just using optional chaining and Swift’s normal casting syntax. There is not much benefit here, and from what I’ve seen in production, SwiftyJSON has some performance problems, as a result I’m not sure I would recommend using it right now, except in prototype apps, or during the learning phase. There’s a few issues here, first of which is that the simplifications they are showing are partially just taking advantage of language features that would actually work with the regular parser. Second, it seems like their example actually would not work. One issue with this sample right off the bat is that they are casting the initial value of the JSON to an array, which would suggest that the root element is an array, which is invalid JSON. The type of the root object in valid JSON is always going to be a key/value. Or equivalently in Swift, a Dictionary of type [String:AnyObject]. Additionally, it’s good practice to actually check if the JSON parsing succeeded or not. This works relatively well, assuming we are just creating objects from a JSON feed rather than synchronizing them. But what if there is a server error and the JSON comes back invalid? For example if there is a server error which changes the JSON to present an “error” key, and it no longer includes “statuses”, this loop simply would not be executed. Failing silently is better than crashing, but it would be nice to check for issues and try again, or adjust something in the app. If the key isn't defined, this count property evaluates to 0, which could just mean there is no new statuses to see. The count really should not be zero, it should be null.. but SwiftyJSON is telling us it's 0. This seems like the kind of thing I really *don't* want a JSON parser to be doing. They really seem to not like the optional syntax in Swift, and instead reinvented it with these type properties. Why not just stick with convention? Our code is starting to grow, and this doesn't cover a ton of things we would need in a real-world application, such as updating the model, including more properties, checking for equality, enforcing uniqueness, cascading relationship changes, and a host of other things. Core Data can handle much of this, and it's common practice to implement models as Core Data models, but that still creates a situation where we have to custom implement all kinds of methods for converting the entire model object (such as Status) *back* in to JSON to update the server. In the Objective-C world there is Mantle, a great library for handling such things. Before that there was RestKit. RestKit however made some ...interesting... design decisions a few years ago in a big update, and haven't ever really recovered since then. Unfortunately I haven't found a good solution for Swift just yet, and trying to work with Mantle proves to be problematic in it's current form, unless you implement all your models in Obj-C, something I'm not sure we all want to do at this stage. I know this isn't all problems with SwiftyJSON, but they ironically break a lot of Swift conventions in dealing with optional values. SwiftyJSON is really a terrible name, they are very much not Swifty at all. However, the syntax is a little easier on the eyes. Personally, I don't use the library in my projects. Spring is "A library to simplify iOS animations in Swift." How does it do this? Let's take a look. The SpringView seems to basically just be a UIView subclass with the animations added in. I don't know if I really like the idea of having to use their UIView, but I suppose most of the time I just use the basic UIView, and even if I didn't, I could just subclass SpringView instead. Spring sports quite a few animation types, set as a string. The square.animation = "squeezeDown" here is what's determining the animation to play. The library goes beyond this, and in fact allows simple animations to be created in storyboards. So in theory you could put Spring in your Xcode project, and then pass it off to a designer to set up some nifty animations using this library. Very interesting idea, I would like to hear from someone who has tried to do exactly this. Quick is "The Swift (and Objective-C) testing framework." Really? It's THE testing framework? Let's take a look at how Quick works as opposed to XCTest, or expecta. More than anything else, this framework encourages behavioral tests, which is why this example includes more information about our expectations. Quick also eases some of the pain of asynchronous testing. In XCTest I personally tend to use XCTestAsync, although Xcode 6 does introduce a way to do this using XCTestExpectation. The basic way that works is you can create an expectation object, and then fulfill it when the async operation is complete. It's not a bad approach. Overall Quick seems pretty interesting, the approach is sure to appeal to those in professional environments, or working with an Agile team where specs change fast. That's it for this time, if you would like to see any of these libraries covered in greater detail be sure to let me know. You can find me on Twitter. 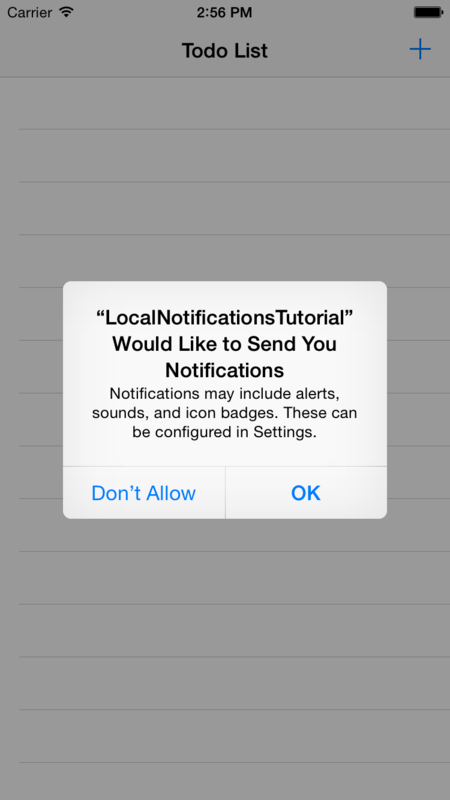 Local notifications are a simple way to display information to your user even when your app is in the background. They allow you to display an alert, play a sound or badge your app’s icon. Local notifications can be triggered at a scheduled time or when your user enters or leaves a geographical area. In this tutorial, we’ll create a simple to-do list application and delve into a number of UILocalNotification features and quirks. 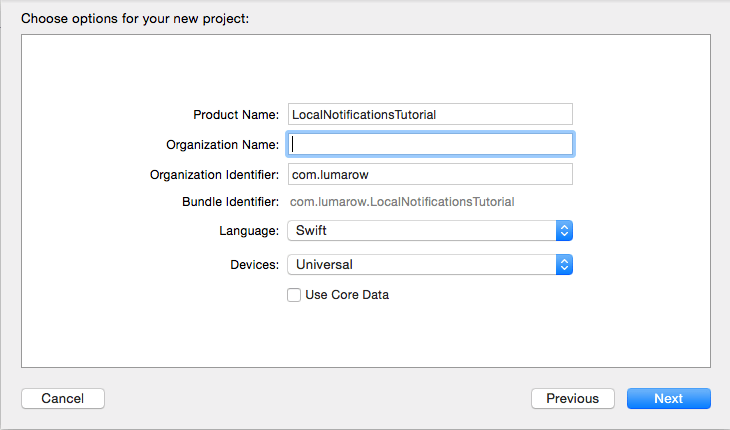 First, let’s create a new single view application in Xcode and call it LocalNotificationsTutorial. Remember to choose Swift as the language. Before we delve into writing any code, let’s get our view controllers and views set up. This is a necessary step, and I’ll be covering some of the basics of using Interface Builder, but if want to skip it and jump right into dealing with scheduling notifications you can follow along by getting the configured application from here. Our finished application will have two views in a navigation controller: a root view that displays a chronologically ordered list of to-do items with deadlines, and a view for creating to-do list items. Before opening Interface Builder, we should generate view controllers to back each of our views. Ctrl or right-click on the project group in the project navigator and select “New File”. Select “Cocoa Touch Class” from the “iOS -> Source” menu and create a subclass of UITableViewController named “TodoTableViewController”. Don’t create a XIB file, and, of course, the language should be Swift. This will be our root view controller and it will be in charge of displaying the to-do list. – Also read about: Field Scheduling. We need a separate view for creating our to-do items. Repeat the process, this time create a UIViewController subclass and name it “TodoSchedulingViewController”. Now that our view controllers are created, let’s hook them into our project’s storyboard. Click “Main.storyboard” and delete the root view controller. Go ahead and delete “ViewController.swift” as well. We won’t be using it. Drag a new navigation controller from the object library onto the now blank storyboard. We’ve deleted our root view, so drag a Storyboard Entry Point onto the navigation controller so our application will have a root view. Select the navigation controller’s root view (a table view) and set its custom class to “TodoTableViewController” in the identity inspector. Since we’re going to display deadlines for each to-do item, we need to select the table view’s first (and only) prototype cell, switch to the attributes inspector, and set the cell’s style to “Subtitle”. It needs a reuse identifier as well, so we can refer to it in our code. We’ll use “todoCell”. Keep the attributes inspector selected. Drag a navigation item onto the table view and give it the title “Todo List”, then drag a bar button item onto that and set the identifier to “Add”. Now we’ll set up the view on which users can schedule and title their to-do items. Drag a view controller into the storyboard. Its custom class should be set to “TodoSchedulingViewController”. Ctrl or right-click on the “Add” button, drag from the “action” to the new view, and select “show”. Now all our navigation is linked up. We need to drag three controls onto this view: a text field (with “Title” as the placeholder text), a date picker and a button (titled “Save”). 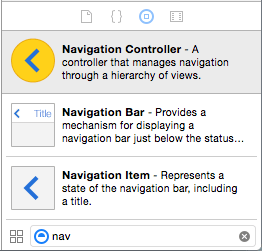 Just center and widen all three, then “add missing constraints” to all views in the view controller (Under “Resolve Auto Layout Issues”, the triangle icon towards the bottom right of Xcode). Adding constraints ensures that the view is laid out predictably across various screen sizes (instead of having portions of controls cut off or misaligned). 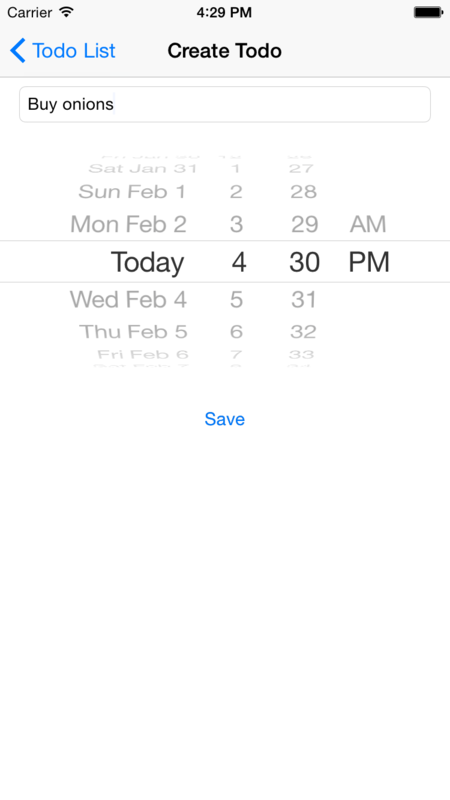 Now that our views and navigation are laid out, we have to link our text field and date picker controls to an IBOutlet in TodoSchedulingViewController.swift. This will allow us to access these controls (and their values) in our code. There are a few ways to do this, but the simplest is to enable the Assistant editor by clicking the interlocking circles in the top right of XCode, Ctrl or right-click the control, and drag the “New Referencing Outlet” circle into the TodoSchedulingViewController class body. Do this for both the text field and the date picker, naming them “titleField” and “deadlinePicker” respectively. @IBOutlet weak var titleField: UITextField! @IBOutlet weak var deadlinePicker: UIDatePicker! 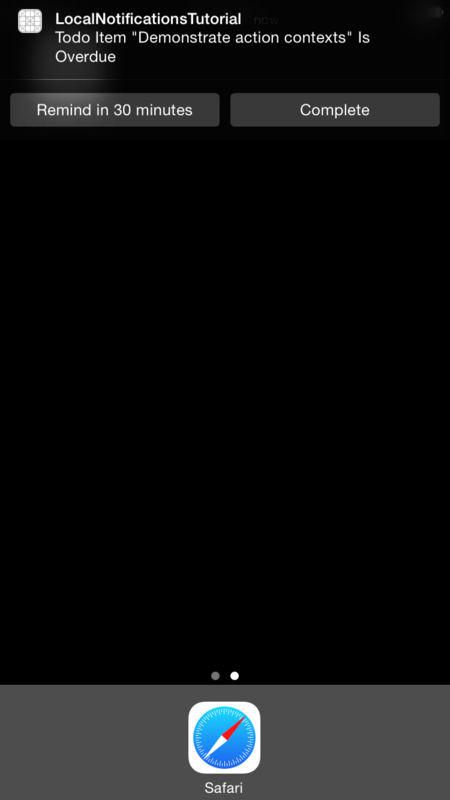 The final step is to connect the save button to an IBAction (an event handler function). Just Ctrl or right-click the button, and drag from the “Touch Up Inside” circle to the code window. Name the action “savePressed” and optionally set the sender type to UIButton (no other controls will be firing this action, so we can be more specific). The views and navigation for this project are all set up. Go ahead and run the app in the simulator. Try it for a few different devices. You’ll notice that, because of the constraints we added, your views stretch or squeeze to fit the various screen sizes. Now, let’s get out of Interface Builder and write some code. On the first launch of the app, users will now be prompted to allow your app to send notifications. If the user grants permission, we will be able to schedule notifications that display a banner, play a sound, and update our app icon’s badge number (which we’ll cover in part 2). For a simple app like this, it may be tempting to handle all of the logic in the view controllers that we just created, but we’ll have an easier time understanding and maintaining our code if we keep the management of the to-do list and the presentation logic separate. I chose to model individual to-do items with a lightweight struct. Let’s create that now. Just click “File -> New -> File”, choose “Swift File” and name it “TodoItem”. Each to-do list item has a title and a deadline, so we’ll create properties for both. Ultimately, each to-do list item needs to be backed by an on disk representation, so that the list will persist if the application is terminated. Instances of UILocalNotification have a userInfo property – a dictionary that we can use to store miscellaneous data like the title, but we can’t rely on that alone in this case. Local notifications are automatically unscheduled after they are fired, which means that we wouldn’t be able to retrieve past-due items. We’ll have to use another method to persist our items, and we need a way to associate an item we’ve retrieved from the disk with its corresponding local notification. For that, we’ll use a universally unique identifier (UUID). Since we’re going to display overdue items in red, lets also add a convenience method that returns whether or not an item is overdue. // Optionally, you can omit "ComparisonResult" and it will be inferred. We need a class to represent the list of items and handle persisting them. Create a new Swift file named “TodoList”. Our application is only concerned with maintaining a single to-do list, so it makes sense to make a single shared instance available throughout the app. This method is the community-accepted way to implement the singleton pattern in Swift, which you can adapt to your own projects. If you’re curious, you can read the details about what it’s doing and why in this Stack Overflow answer. UserDefaults provides a simple way to persist our to-do items to disk. The following snippet defines a method that adds a dictionary representation of a to-do item to standard user defaults (with UUID as the key), and then creates the associated local notification. fileprivate let ITEMS_KEY = "todoItems"
Notice that we’re just playing the default sound when the notification fires. You can provide your own sound file, but audio files over 30 seconds in length are not supported. The default sound will play instead. We’re almost to the point where users can create new list items. It’s time to implement savePressed: in TodoSchedulingViewController. Note that, since this is a new to-do list entry, we’re passing in a newly generated UUID. Try out the app now. Launch it in the simulator, create a new item due a minute in the future, and return to the home or lock screen (Shift-CMD-H or CMD-L) to view the notification. The notification won’t necessarily fire right on the stroke of the minute (due to a hidden ‘seconds’ value on the time picker control), but you’ll see it within the minute. It’s important to note that you’re limited to scheduling 64 local notifications. If you schedule more, the system will keep the 64 soonest firing notifications and automatically discard the rest. We can avoid running into this issue by disallowing the creation of new items if 64 already exist. The fact that to-do items are persisted as an array of dictionaries is an implementation detail that outside classes shouldn’t have to worry about. Our TodoList class needs a public facing function that the list view controller can query to retrieve a list of to-do items. This function retrieves the array of item representation from disk, converts it to an array of TodoItem instances using an unnamed closure we pass to map, and sorts that array chronologically. Describing the map and sort functions in detail is beyond the scope of this tutorial, but you can find more information in the Swift language guide’s section on closures. Now we can hook up TodoTableViewController to display the list. cell.textLabel?.text = todoItem.title as String! dateFormatter.dateFormat = "'Due' MMM dd 'at' h:mm a" // example: "Due Jan 01 at 12:00 PM"
Our to-do list now shows each item in chronological order, with the date label in red if the item is overdue. There are two issues we need to deal with here. Users currently don’t receive any visual feedback that a notification has fired (and a to-do item is overdue) when the app is running in the foreground. Also, when the app resumes, the list won’t automatically be refreshed, meaning that missed deadlines may not appear in red. Lets solve both issues now. Please note that, despite the presence of the word “notification”, NotificationCenter is unrelated to UILocalNotification. 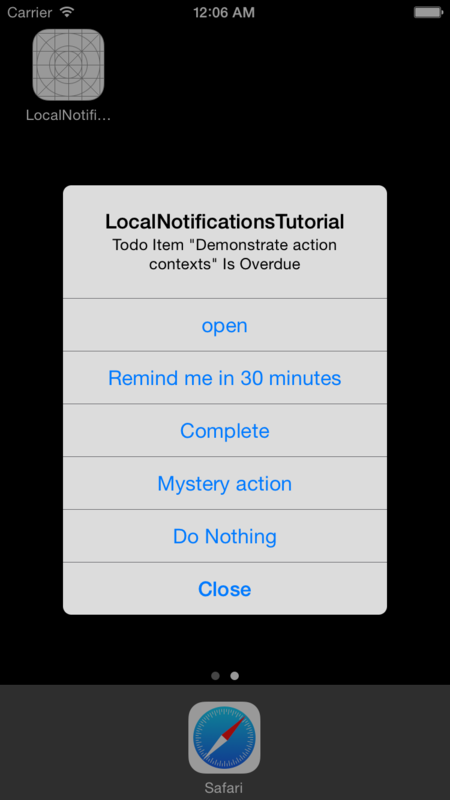 NotificationCenter’s purpose is to provide a simple way to implement the observer pattern in your apps. 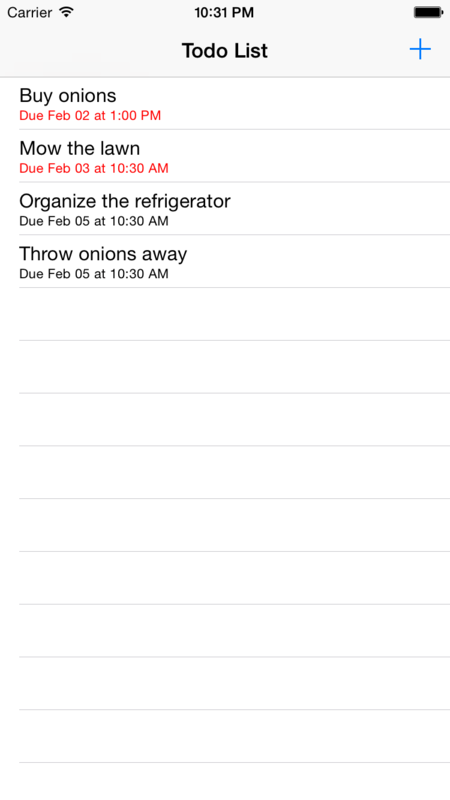 Here we register TodoTableViewController as an observer to the “TodoListShouldRefresh” notification. Whenever a notification with that name is posted, the reloadData method will be called. I’ve omitted this step, but it is generally better to define notification names as static constants to avoid repeating yourself. Our to-do list application isn’t very useful without a way to clear out completed items, and the simplest way to do that is to delete them. We need to add some functionality to TodoList. Note that passing an existing notification to scheduleLocalNotification: will cause a duplicate to be created. If you want to give users the ability to edit existing local notifications, you’ll need to retrieve the old one and cancel it before scheduling the new one. Now we just need to allow users to remove items by swiping the item’s cell and pressing “Complete”. We now have a working to-do list application that lets our users schedule and cancel local notifications with sound and custom alert messages. The source code can be downloaded here. In part 2 of this series, which builds on this project, we’ll add support for an application icon badge and learn about notification actions, a new feature that allows us to trigger code from a notification without ever opening the app. This tutorial series requires a basic understanding of UIView hierarchy. If you are new to iOS development, you might want to begin with Developing iOS Apps Using Swift first. When you first hear about Core Animation, you might think it is all about animation. However, animation is only a part of this framework. Core Animation is an infrastructure for compositing and manipulating visual content onscreen. It uses the GPU to accelerate the rendering of on-screen objects. It divides the content onscreen into individual objects called layers, and arranges them in a tree hierarchy (known as the layer tree). You are familiar with the UIView tree hierarchy, which is built upon the layer tree. In other words, Core Animation accounts for everything that you see onscreen. In the first part of this tutorial series, you are going to learn the basics of CALayer, how to use its properties to create neat visual effects easily, and at the end of this tutorial, you will learn the most important subclass of CALayer – CAShapeLayer. CALayers are rectangular objects that can contain visual content. They are stored into a tree hierarchy, and each manages the position of its children sublayers. That’s true, but it’s not just a coincidence. Every UIView has a layer property known as the backing layer, which is an instance of CALayer. 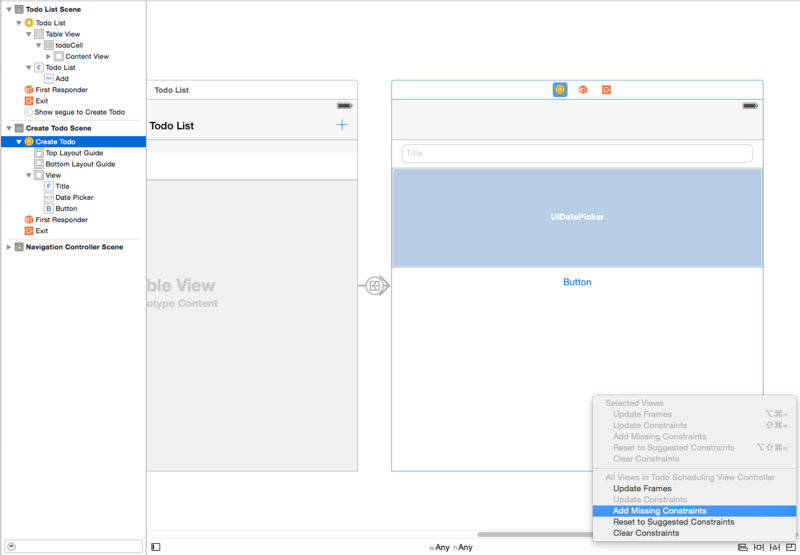 UIView just ensures the corresponding back layers are correctly connected in the layer tree when subviews are added or removed from the view. It is the backing layer that is responsible for display and animation of the view. The only major feature that the backing layer does not handle is user interaction. 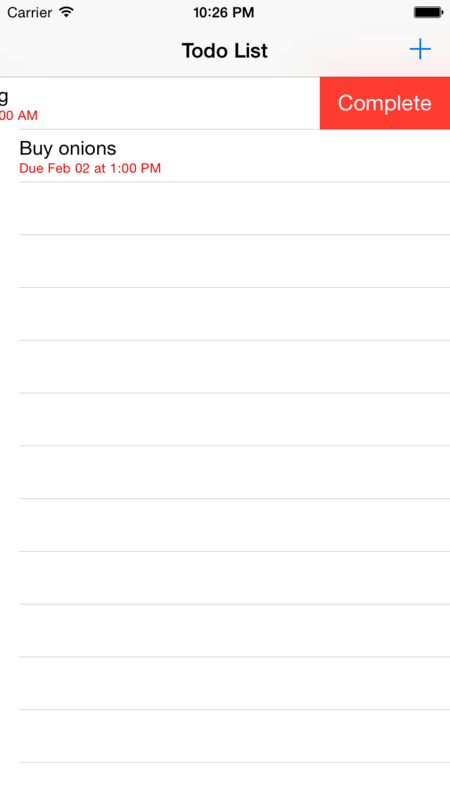 For the purposes of going through this tutorial, I recommend creating an empty single-view iPhone application. Creating a CALayer instance is very straightforward. We can set its frame, backgroundColor, and add it to a superlayer just like we do with UIView. Notice that the backgroundColor property of CALayer is a CGColor instead of UIColor. You can also set an image as the content via the contents property. contents is also known as backing image. Note that you’ll have to drag your image named ButterflySmall.jpg in to your Xcode project hierarchy in order for the UIImage() command to find the picture. let image = UIImage(named: "ButterflySmall.jpg")! contentsGravity is a constant that specifies how the layer’s contents are positioned or scaled within its bounds. 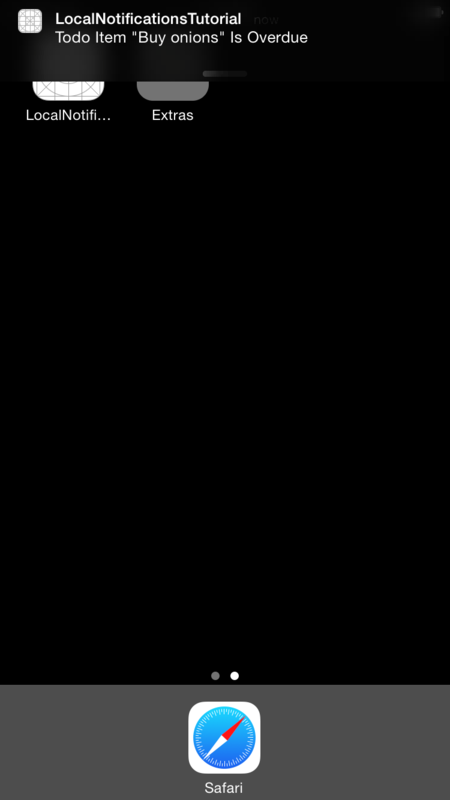 contentsScale defines a ratio mapping between the size of the layer (measured in points) and the size of the bitmap used to present the layer’s content (known as backing image, measured in pixels). The default value is 1.0. Normally we set the value as the scale of the image, as shown above. However, when working with image that are generated programmatically, or image that missing @2x/@3x suffix, you will remember to manually set the layer’s contentsScale to match the screen scale. Otherwise, you will get a pixelated image on your device. CALayer has a property called cornerRadius, which applies rounded corners to the layer’s background and border. When the masksToBounds property is set to true, the layer’s backing image and sublayers are clipped to this curve. On our redLayer, let’s apply some rounded corners, and make the border visible. borderWidth, borderColor defines the width and color of a layer’s border. There are four properties that you could configure the drop shadow for a layer, shadowOpacity, shadowColor, shadowOffset and shadowRadius . shadowRadius controls the blurriness of the shadow. A larger value could create a softer shadow that looks more natural. Let’s add a shadow to our redLayer as well. 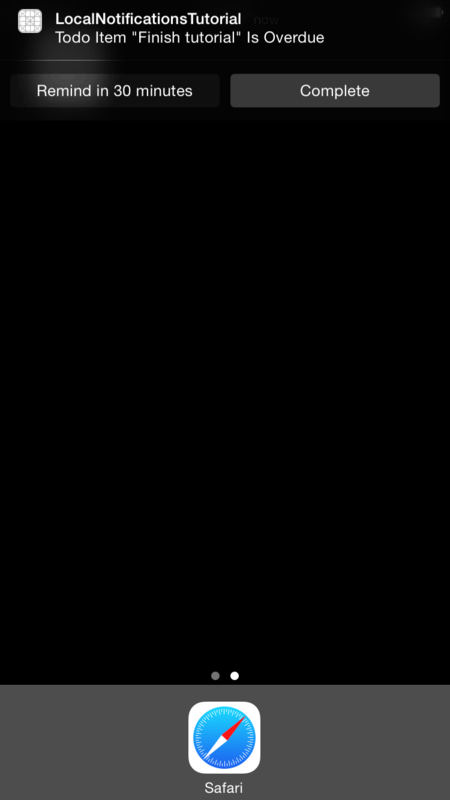 Unlike the layer border, the layer’s shadow derives from the exact shape of its contents, not just the bounds and cornerRadius. However, if you know what the shape of your shadow would be in advance, you could specify it via shadowPath (an instance of CGPath). You could improve performance by doing this. Now that we’ve covered a few of the types of properties that are present in Core Animation, let’s quickly walk through creating some actual animations. // How may times should the animation repeat? Here we create a new CABasicAnimation for the cornerRadius property. Run your app and take a look, cool right? You could just as easily make this animation apply to any other animatable property of CALayer. Try swapping the “cornerRadius” keyPath value in the CABasicAnimation() constructor with the value “borderWidth”. What happens? What about a value of “shadowRadius”? From this tutorial you can see how the basics of Core Animation work. In the next part we’ll move on to learn about more animatable properties, and how to work with masks to do really nifty effects. Full code for this tutorial available here, on Github. Want to get notified when the next part is out? Be sure to subscribe to our newsletter here. Because we’re going to be adding additional API calls in this part of the tutorial, we should modify our API Controller for some code re-use. Let’s start with a more generic get request. // In order to actually make the web request, we need to "resume"
See the difference? The only part that was specific to the search function was the escaping of search terms, and embedding the term inside of the URL, so there’s no reason not to just break the get() part out in to it’s own method. Now, we can quickly add a second API function to lookup a specific album. But first, let’s modify our album model to store a collectionId variable, used by iTunes to identify individual albums. In our Album struct, add a new variable collectionId of type Int. Great! We can now initialize Albums with a collectionId, but now our existing albumsWithJSON code is wrong, it’s missing the collectionId parameter. Find the line that creates the newAlbum just before it appends to the array returned from albumsWithJSON(). Modify this to get the collectionId our of the result dictionary, and pass it in to the Album constructor. Since we really need the collectionId to not be nil in order for this app to work, we’ll bundle the whole album creation inside of an if let clause so that only valid albums will show up on the list. The reason we need to add this collectionId variable is so that we can perform lookups of albums when they are selected. With the collectionId, it’s easy to do a second query of the iTunes API to gather lots of details about an individual album. For example, we can get a list of tracks with media URLs that will give us a 30 second preview. In the last tutorial we added a DetailsViewController to our storyboard. Let’s add a TableView to this view as well. You can lay it out however you like, but I recommend giving the Table View the majority of the screen space. This is where we’re going to load in our list of tracks. Let’s now connect this new TableView to a property in DetailsViewController called tracksTableView. @IBOutlet weak var tracksTableView: UITableView! It’s probably useful at this point to try and run the app. You should be able to drill in to an album and see an empty list of tracks. If we’re going to show tracks we’re going to need another model. Create a new Swift file called ‘Track.swift’, and give it three String properties for title, price, and previewUrl. This model is set up in pretty much exactly the same way as the Album model, not much new here. In DetailsViewController, let’s add an array of tracks as a new property. Now, to get track information for the album, we need to modify our API Controller again. Fortunately for us, we have an easy to use get() function that makes this pretty simple. We’re going to need to use this in our DetailsViewController, so we now need to implement the APIControllerProtocol we wrote earlier in to DetailsViewController. So modify the class definition of DetailsViewController to include this, and our api object. Your project will have an error at this point about the protocol we haven’t yet implemented, but that’s ok let’s keep moving. This is all stuff we’ve seen before. We create an instance of our APIController with the delegate set to self, and use our new lookupTrack method to get details on the tracks in the selected album. Here we use the lazy keyword to indicate we don’t want the APIController instance api to be instantiated until it is used. We need to do this to avoid the circular dependency of DetailsViewController needing to be initialized to pass it in as an argument to the APIController(delegate:) constructor. Earlier we used an optional APIController to solve this problem, but using the lazy keyword is another way to solve this problem and it’s a little cleaner. To fully adhere to our APIControllerProtocol, we need to implement the didReceiveAPIResults() function in this class too. We’ll use this to load in our track data. We’ll implement this exactly as we did for the SearchResultsViewController, by offloading the responsibility of converting the JSON response in to a list of tracks to the Track model. We’re using a non-existent tracksWithJSON() static method on Track. So we need to add that before this will compile. Open up Track.swift and add a method similar to our albumsWithJSON method. This API call returns the album before it returns the list of tracks, so we also add a check to make sure the “kind” key is set to “song”, as you see on line 8. Otherwise this function is just extracting some data from the JSON; Then we check that the three fields we need aren’t null, and if so set some reasonable defaults. And let’s modify the cellForRowAtIndexPath method to load in our track data. First, we need to add a prototype cell to the TableView in our storyboard, because we’re going to use a custom cell. So select the Table View in the storyboard, and set the number of prototype cells to 1. To demonstrate what the prototype cells are really for, I think we should add some custom controls to this one. Create a new Swift class called TrackCell that inherits from UITableViewCell, and give it two IBOutlet UILabels called playIcon and titleLabel. Now, back in your Storyboard file. Change the prototype cell’s class to ‘TrackCell’ under the Identity Inspector in the right-hand panel. Next, add two UILabel’s to the cell by dragging the views on to the cell itself. 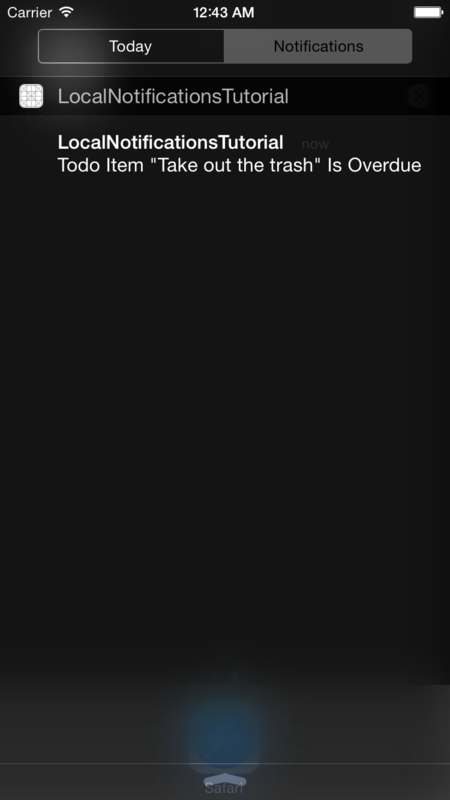 Put one on the left for our play/pause button, and one taking up most of the space on the right to say the title of the track. Drag two labels on to the prototype cell. 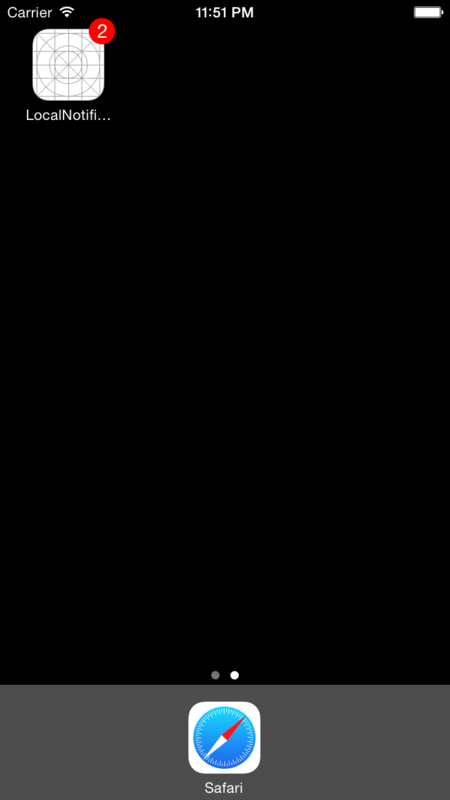 Make one of them small and on the left, around 23×23 points, for a ‘Play/Stop’ icon. The second one will be the track title and should take up the rest of the cell. Click in to your play button label and then in the Mac OS menu bar hit Edit->Emoji & Symbols and find a play button looking icon. I found some under Emoji->Objects & Symbols. As an optional challenge, try using an image for the button icon! @IBOutlet weak var playIcon: UILabel! The logic is mostly the same as our other table view, with the exception that we cast cell to our custom class, TrackCell, on the first line. The “YOUR_PLAY_ICON” text should be replaced with the play icon, which again, you can get by hitting Edit->Emoji & Symbols in the Mac OS menu bar. Don’t forget to put quotes around it! Next we grab the track we need from our tracks array, just as before with albums. Finally we access our custom IBOutlet variable, titleLabel, set it’s text to be the track title, and do the same with playIcon. Congrats on getting this far, we’re in the home stretch! Okay, next we want to set up a way to actually hear some audio. We’re going to use the MPMoviePlayerController class to do this. It’s easy to work with, and works just fine with audio-only streams. ERROR! Use of undeclared type MPMoviePlayerController. It’s okay, this is just because we need to import the framework MediaPlayer, it isn’t included by default in our project. Next, mediaPlayer.contentURL sets a url for where the media player should load it’s content. In our case it’s from the url stored in track.previewUrl. Finally, we call mediaPlayer.play(), and get the track cell for the tapped row index. If this row is still visible, it’ll set ‘cell’ and here we can change the playIcon label to instead show the stopped icon, which we set again by using Edit->Emoji & Symbols on the Mac OS menu bar. If you run your app, you should now have a fully working iTunes music preview application! This by itself is pretty great, but let’s add one more thing to make it even more slick, some smooth table view cell animations. This is actually really easy, and has a very cool visual effect. Now run the app and scroll around, neat right? The function willDisplayCell is called from the TableView delegate, similar to the rest of our callback functions that set up the row. But this one is only called the moment before a cell appears on-screen, either through initial loading or through scrolling. This first line uses CATransform3DMakeScale() to create a transform matrix that scales down any object in x, y, and z. If you are familiar with linear algebra you’ll know what this means right away. If not, it’s not super important. The point is, it makes things scale, and here we’re scaling it down to 10% by setting the x and y values to 0.1. So, we are basically just setting the cell layer’s transform to be 90% smaller. Next we set the cell layer’s transform to a new scale, this time of (1,1,1). This just means that it should return to it’s original scale. Because this line is run inside of the animateWithDuration() block, we get the animation for free courtesy of Core Animation. Experienced Obj-C developers will probably recognize this is not the only way to perform such an animation. However, I believe this method is the easiest to understand, in addition to being the most Swifty. In my upcoming book I go in to great detail about how to efficiently use Core Animation to make beautiful animations for your apps. Using Core Animation in this way really makes your app pop. The full source code for this section is available here. A reader of this tutorial series contributed the next section, which covers producing a nicer play/pause icon purely in code. Check it out here. Make sure to sign up to be notified of the next tutorial series.